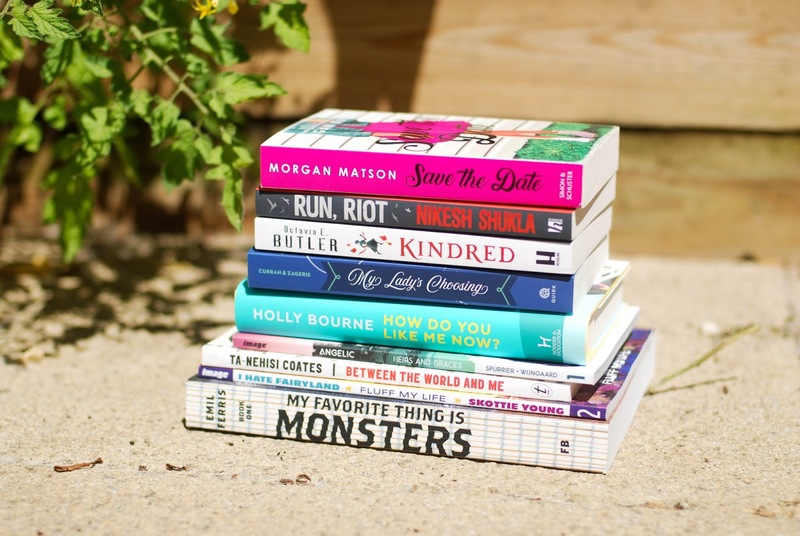 Curiosity Killed the Bookworm: Summer Readathon is Coming! Have you heard the news? Dewey's 24 Hour Readathon is making a special summer appearance and the start times are reversed! This means in the UK, it will run from 1am on Saturday 28th July to 1am on Sunday 29th July. You can sign up here. I've signed up, of course, although the start time will be difficult for me. Josh thinks I could sleep for 3 hours then get up but I think it's much more likely that I will start whenever I wake up naturally on Saturday morning. It's a bit weird to not be blocking out the whole weekend for it. As next week is the release of Record of a Spaceborn Few, I might sneak it onto my TBR last minute. However I don't want to be reading it if I'm feeling super tired. As always, there is no expectation for me to read all these books, I wish! I will be happy reading one novel and the comics/graphic novel. My Lady's Choosing is a choose your own adventure romance, which I thought would be fun for the readathon. Let me know if you're joining in and would like me to cheer for you (I can do blogs, Instagram or Twitter). I am really excited to join my first readathon and stumbled across your fantastic blog! I hope you enjoy My Lady's Choosing - I have had so much fun with that book. I can't wait to see what I can get to this weekend!